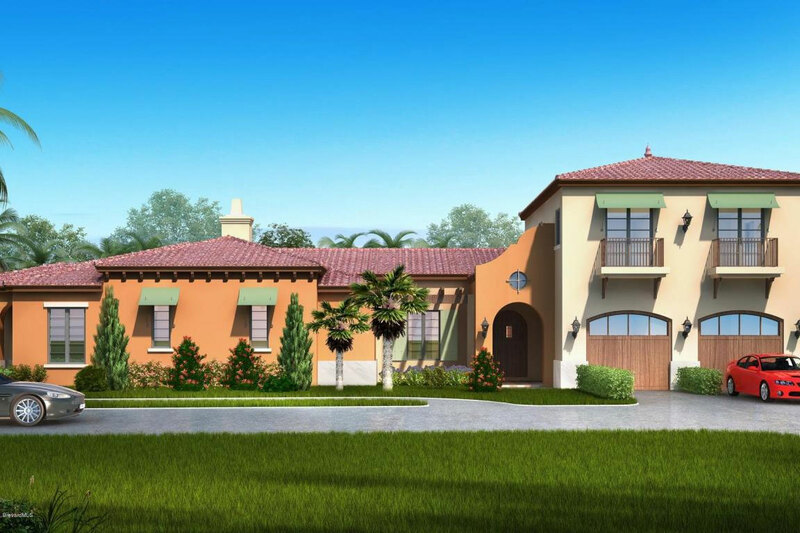 Enjoy the rustic modern architecture of these two-story townhomes nestled in mature oaks with golf and lake views. Blue Heron was one of the original Aquarina developments built in the 1980’s. 20 units in all, these townhomes are well-designed and feature comfortable layouts, abundant windows and decks, and one or two car garages. Usually all of the bedrooms are on the upper floor. Blue Heron shares a community pool with Egret Trace and Spoonbill Villas. Golf and lake view duplexes built between 2004-2006. This section of 24 units features tile roofs, two car garages and a variety of layouts all of which feel much more like single family homes than attached villas. Many of Cranes’s Point homes include private inground swimming pools. Mostly one-story floorplans, and all feature downstairs master bedrooms. 18 low-rise condominiums featuring sleek European styling with abundant deck space to maximize the enjoyment of this tropical lifestyle. Egret Trace was another of the original developments in Aquarina, built in the 1980’s. Most units include one or two car detached garages. Egret Trace shares a community pool with Blue Heron and Spoonbill Villas. Hawk’s Nest’s 37 homesites were originally planned for two-story duplexes ranging in size from 2,300 to 3,000 square feet. Six residences were built in Hawk’s Nest in 2006/2007 and the remaining properties are in the hands of a developer. Active sales have not begun, but the developer is beginning to advertise plans for 32 single family homes between 2,200 to 2,400 square feet. We hope to see construction resuming here in the near future and there is a possibility that these new units may allow for one-month rentals. 15 one-story attached villas built between 1994-1997. Les Villas townhomes range from 2,000 to 2,400 sq. ft. and feature tile roofs, 2-car garages and a variety of spacious floorplans, including a popular courtyard model with separate guest house. Many include a private swimming pool. Popular new development right across the street from the beach! Maritime Hammocks single family home floorplans are two and three stories ranging in size from 2,400 to 3,000 square feet. Mostly built-out, but there may be some resales available. 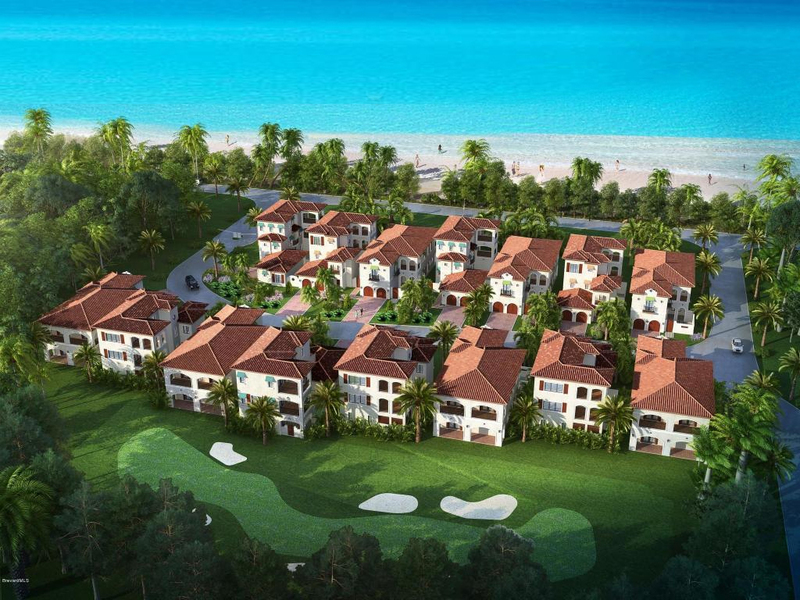 Matanilla Reef in Aquarina is a desirable enclave of golf and ocean view homesites right across the street from the beach. The well-established developer has just broken ground on new construction and is offering 5 gorgeous models starting in the $650,000 price range! 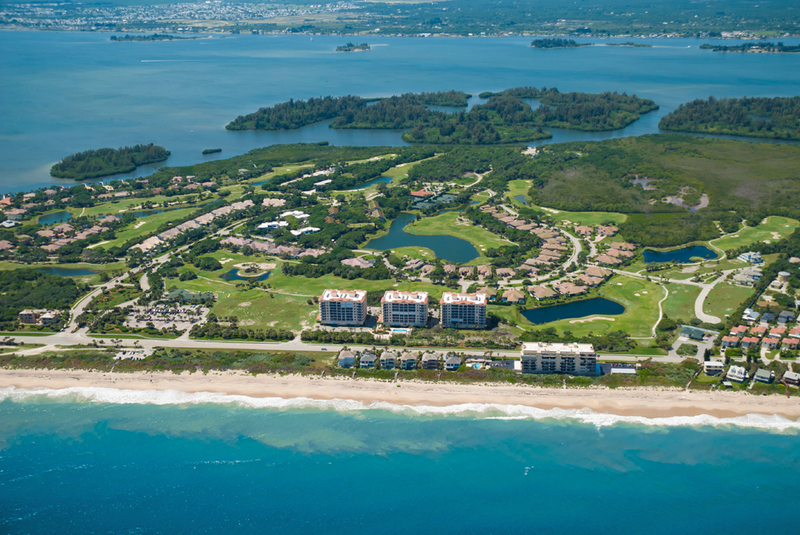 It’s the only new development anywhere on southern Brevard County’s barrier island and a must-see if you are considering a move to the area. Mostly large newer duplexes built between 1998-2006 with two-car garages, tile roofs and golf views. Originally called “Osprey Villas East”, this section is very similar to its counterpart across the way with duplexes are well-designed to feel like single family residences. The developer is building 2 large single family spec homes at the entry to this community (completion early 2017) priced in the low $700ks. 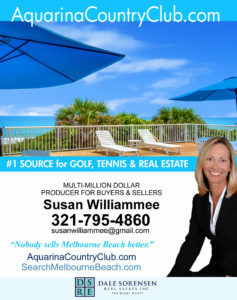 Very popular luxury condominiums! 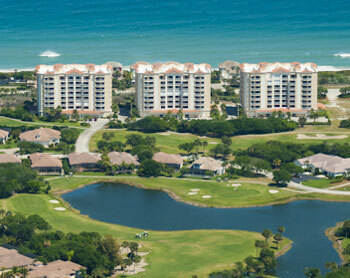 Ocean Dunes is comprised of 3 8-story buildings built between 2007-2009. Condominiums feature semi-private elevators, high 9 to 10 foot ceilings, spacious east and west balconies and a variety of floorplans, most of which feature 3 bedrooms, 3.5 baths and approximately 2400 square feet of living space. Ocean Dunes includes a beautiful heated community pool and extra large sun deck area with barbeque station and fire pit. 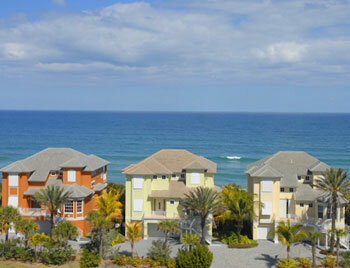 Located just west of Highway A1A, units from the 3rd floor up enjoy spectacular ocean to river views. 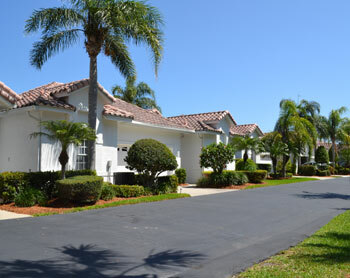 Large newer duplexes built between 1998-2006 with two-car garages, tile roofs and golf and lake views. As with most attached homes in the community, these duplexes are well-designed to feel like single family residences. 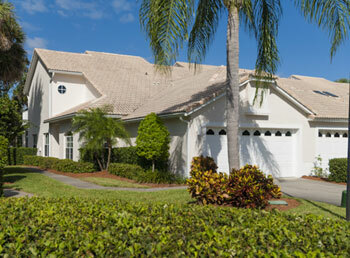 Osprey Villas are typically one-story units and many feature private swimming pools. Eight luxury oceanfront homes built between 2003 and 2006 (and one remaining property currently under construction). These are beautiful two and three story residences ranging in size from 2600 to over 4000 square feet. Desirable riverfront enclave of approximately 30 properties, this exclusive section of executive homes was mostly built out in the mid 2000’s. Three buildable lots are privately held and available for purchase. One and two story homes range from 2200 to over 4000 sq ft and feature tile roofs, pavered driveways and side entry garages. Many homes include large private swimming pools. 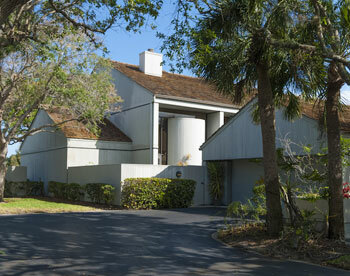 Riverfront homes enjoy boat docks and spectacular views of the Indian River lagoon. Developer may soon be breaking ground on this outstanding riverfront parcel. The planned multi-residential community will feature 175 new residences including mid-size estate homes, 6 unit multi-family homes, and two high-rise condominiums. 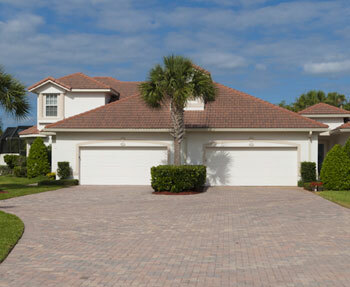 Wrapping around the center of Aquarina, Sandpiper Cove is comprised of approximately 20 executive homes with tile roofs and pavered driveways ranging in size from 2200 to over 3000 sq ft. The section was developed between 2004 to 2006 with a variety of floorplans including the popular courtyard model. 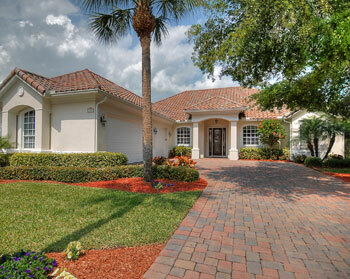 Most Sandpiper Cove homes enjoy beautiful golf and lake views and include large private swimming pools. 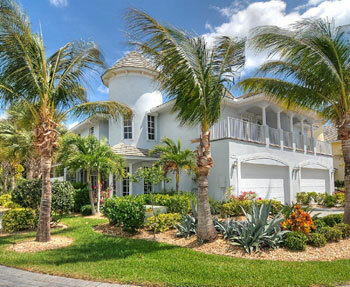 11 gorgeous oceanfront homes built in the early 2000’s. Most feature second floor living areas to take full advantage of the stunning ocean views. Two and three story homes range in size from 2600 to over 3000 sq ft. 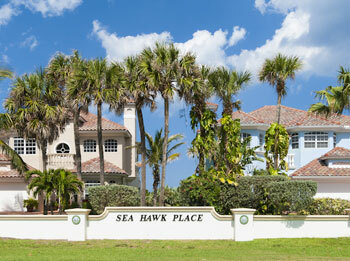 Unlike most single family home sections, HOA fees for Sea Hawk Place cover lawncare and exterior insurance for each home. 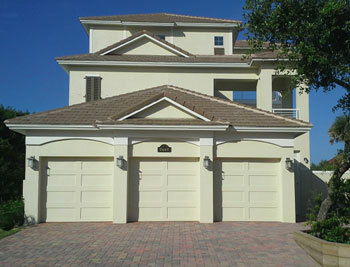 A desirable and affordable section of 30 one and two story townhomes built between 1997 and 2001. These light and airy residences average @ 1800 sq ft and feature golf views, tile roofs and two car garages. Spoonbill Villas shares a community pool with Blue Heron and Egret Trace. 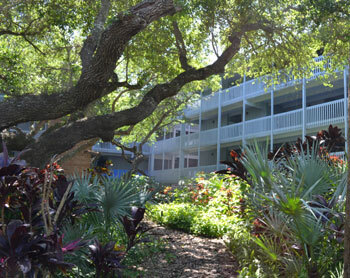 Charming low-rise condominium built in 1986, this 4 story building is nestled in mature oaks and features under building parking. A total of 27 units, one and two bedroom models range in size from 800 to 1400 square feet. 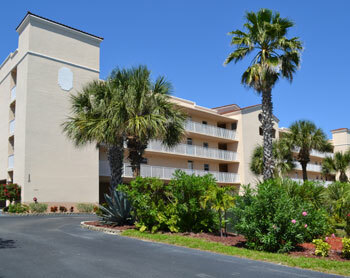 Newer five story low-rise condominium with golf views right across the street from the beach. 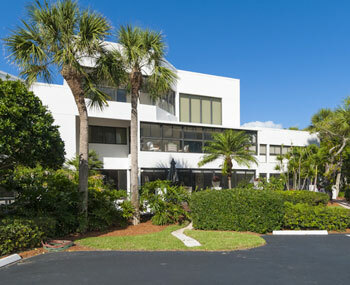 The Marlin was built in 1997 and features 15 two bedroom/two bath condos, each 1174 sq ft with inside laundry closets, under building parking and separate storage areas for bikes and beach chairs! 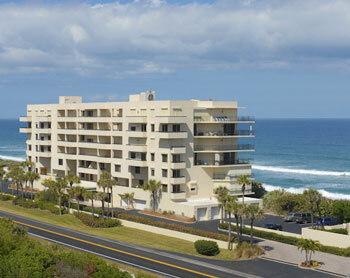 Unsurpassed ocean views from this 6-story oceanfront condominium built in 1985. Tidewater features a private heated swimming pool, under-building parking and storage rooms, and locker rooms with saunas. There are 24 condos in all with a variety of unique two and three bedroom floorplans. All 2nd floor units are two story with fireplaces, upstairs bedrooms and double balconies. 4th, 5th and 6th floor models are really gorgeous one-story units with lots of windows and deck space on east and west side of building – very popular condos that sell quickly when available.